Wacoal’s Fit for the Cure program raises funds that contribute to Komen’s National Treatment Assistance Program. Find out if you’re in the right size bra…. Congratulations to the 2018 More Than Pink Walk Top Fundraising VIPs! These 2018 Top Fundraisers each raised $1,000 or more. These women and men have…. Have you heard? Race for the Cure is now the More Than Pink Walk! Join us Sunday morning, September 30th at Coney Island for the…. Susan G. Komen®Southwest Ohio is proud to offer assistance to those struggling with the financial burden of breast cancer treatment through the Komen Southwest Ohio…. Congratulations to the 2017 Pink Honor Roll members! These 2017 Race for the Cure Pink Ribbon Walk fundraisers each raised $1,000 or more and have…. For our 20th Anniversary we invite you to be In the Pink! 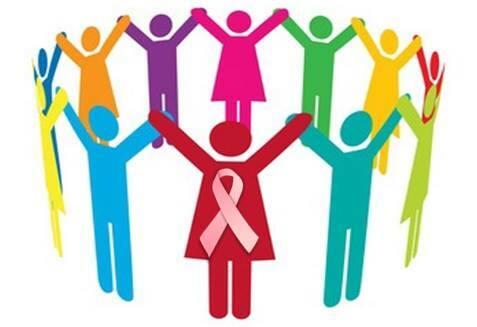 In the Pink is a special group of individuals who strongly support the…. Congratulations to the 2016 Pink Honor Roll members! These 2016 Race for the Cure fundraisers each raised $1,000 or more and have become members of…. 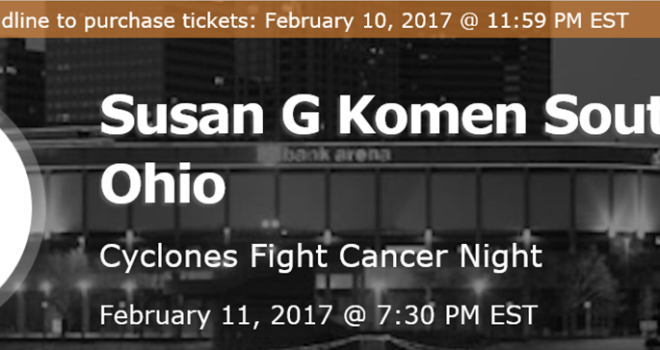 Join the Cincinnati Cyclones on February 11th, 2017 for Cancer Awareness Night. Tickets are $15. From every ticket purchased, $6 dollars will go back to…. Thank you to everyone that participated in the 2016 Race for the Cure. Browse through these photos from Traveling Studios. They had the super fun…. Connecting You With Resources We are pleased to announce a new Komen funded program being rolled out right here in Cincinnati. If you or someone….